Deciding to study an MBA degree is the best and biggest decision for the aspiring managers. The demand of management professionals is growing globally and to meet the requirements of industry, top institutes are coming up with the best courses with wide industry exposure. MBA is highly-valued degree designed to develop the skills required for business and management field. Attaining this degree allows candidates to learn how to manage, lead and organize effectively in a variety of business environments. 1. Develop priceless management skills: MBA aspirants are the young professionals with some experience. Pursuing MBA from IEM will teach you a lot about everything in business that makes a company tick. During the program, you will learn how to advertise and sell products, maintaining the positive image of company, taking care of expenses and finances, hiring the right people and more. This will also help you further encounter the latest trends of international business. 2. Get free access to a large business network: As an MBA student, you will have great networking opportunities. You will get to interact with the business experts with great management experience. You will also gain access to an extensive alumni network and these connections will give you an overview of the business world. 3. 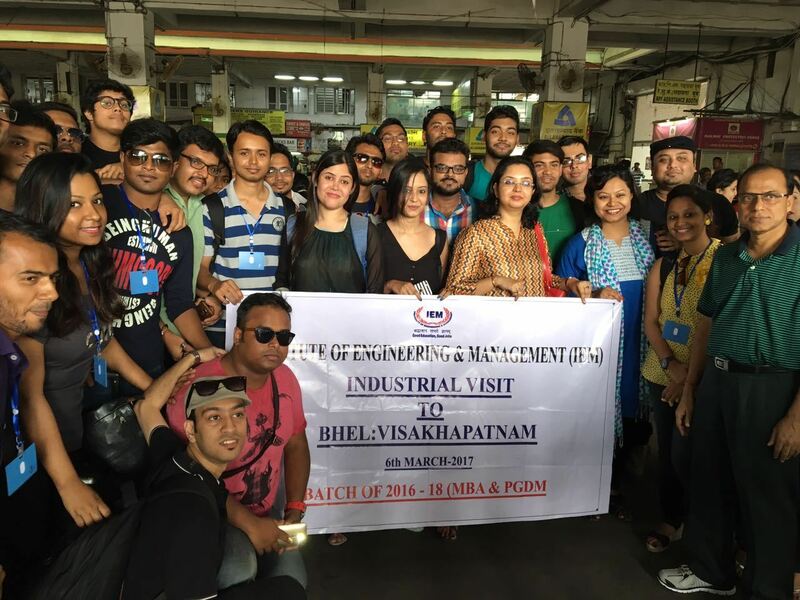 Good career opportunities: IEM is the best college of management in Kolkata that has tie-ups with the big players of industry. The institute prepares candidates for the global business opportunities and develops transferrable skills to have a competitive edge. 4. World-wide recognition: The MBA degree offered at IEM is worldwide recognized and the graduate is certified in all the known core areas to get the managerial roles at an organization. The degree is widely recognized and can be used to pursue other career fields. 5. Self-growth: Pursuing an MBA degree from the reputed institute like IEM builds confidence in students that helps them a lot in their professional life. Entire classroom experience, interaction with business experts, case studies, student activities, all these will radically change your perspective both professionally as well as personally. 6. Develop knowledge and team-building skills: Management is all about collaboration and teamwork. The course develops right knowledge in candidates and offers opportunities to master the art of team building. The institute also focuses on developing leadership skills in the aspirants that will further help to lead the business ventures. 7. Personal development: After completion of the MBA program, MBA graduate will become well-rounded personnel. Pursuing MBA in Kolkata at IEM will develop professional skills in candidates and adjust their mind for better outcomes. These were some of the good reasons to pursue management career in Kolkata. IEM offers a systematic approach to following your dreams and makes your MBA journey more meaningful.